You want more challenges? You want to test yourself a bit further. We do have mountain trails on to which you will be able to explore all your skills and discover new ones. Those programmes are hard and strenuous. You need to be really fit and to have the right equipment to accomplish in good conditions. It is possible to plan a training programme prior your coming. Contact us for more information. In Himalaya it exists 14 summits over 8000 m. Here we do have 14 summits over… 2000 m. Those 14 summits were climbed within less 24 hours by a team of 3 trailers. When you hike you can cover the distance within 7 to 10 days: 140 km and 12000m in positive height difference. Rogaining right in the middle of a boundless botanical alpine garden from cows and high mountain pastures, wildlife to glaciers landscapes, serac and lakes. And learn the meaning of the local saying when “The Mont-Blanc puts is cap on”, “The Mont-Blanc and its donkey ears”, “The Mont-Blanc smokes a pipe”. Take your time and look around for a minimum 7-day hike. Do not get it wrong this summit nests over 3000m. The positive height difference is over 1800m. You can complete it in a day or two. Weather conditions are a factor at this altitude. 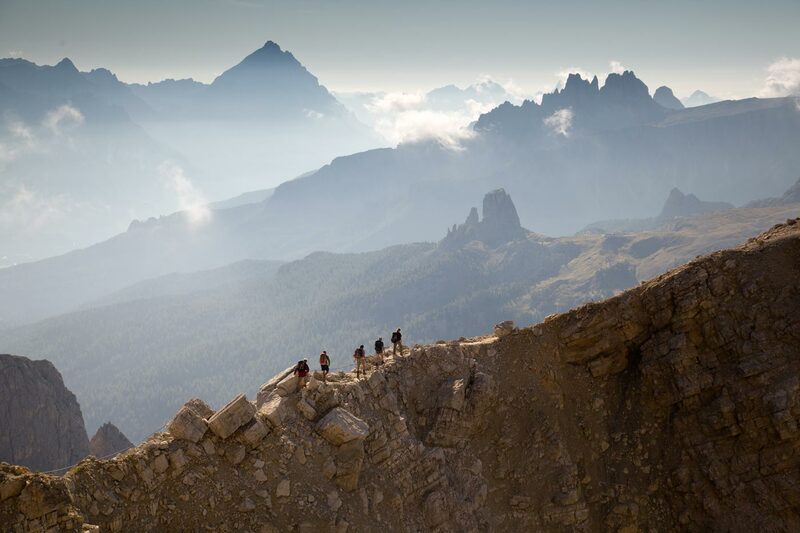 The award is the top with a breathtaking scenery on the Mont-Blanc, les Aiguilles Rouges and the Swiss Alps. This expedition brings you back in the turmoil of 39/45 years when France was occupied by the German army during WWII. Experience History, Friendships. And push off your own limits in a remote place of the Pyrenees. There, is a village where downed aircrews, Resistance Fighters, Nazi regime’s fleeding refugees have crossed the mountains in extremely harsh conditions (no fitness, no equipment, scarce foods, severe weather conditions and the German army chasing). Try to cover the distance on one of the hardest wartime escape routes across the central Pyrenees into Northern Spain. A 5-day sporty challenge as it used to be done in such a short time and dramatic conditions, dodging the German army and all the French traitors working for them. Make your own traces in the unspotted snow. Manage your way using snowshoeing and husky dogs. Settle for the night with your tent and learn the basic survival skills required to spent a comfortable night. Enjoy a night hike with the full moon as your walking companion.